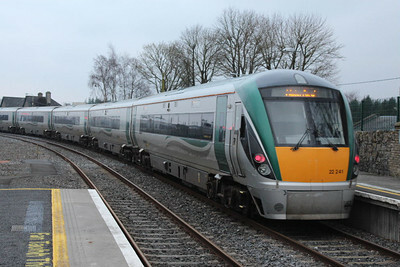 22131 leaving Carlow on 24.03.12 on 11.10 Dublin - Waterford service. 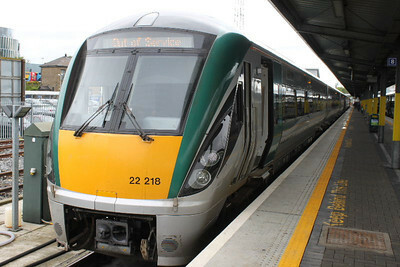 22133 at Kildare on 27.04.11. 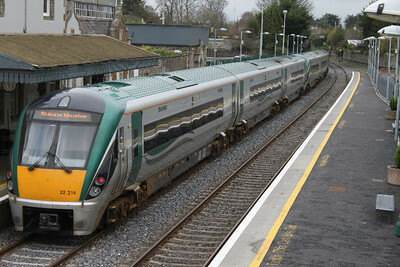 22133 at Kildare on 08.08.13.en route to Houston..
22134 at Carlow on 03.03.12 on 07.10 Waterford - Dublin service. 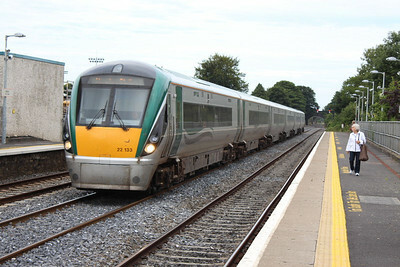 22136 at Carlow on 14.07.12 on 11.10 Dublin - Waterford service. 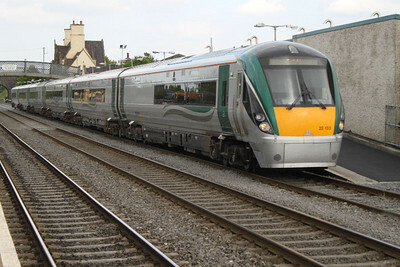 22138 - on 25.06.11 at Carlow on 11.10 Dublin - Waterford service. 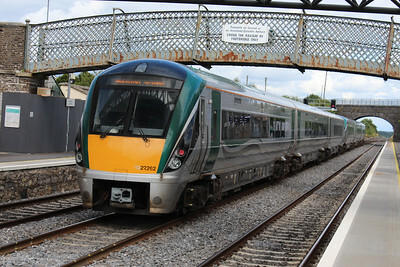 22139 at Carlow on 06.08.11 on 11.10 Dublin - Waterford service. 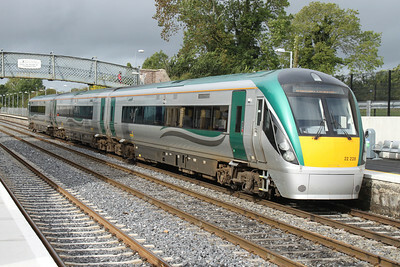 22140 at Kildare on 03.09.11 after 13.35 Dublin - Kildare service. 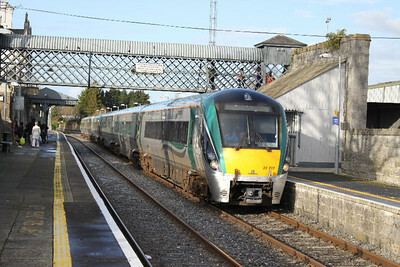 22202 on 14.11.09 at Kildare on 11.15 Dublin - Waterford service. 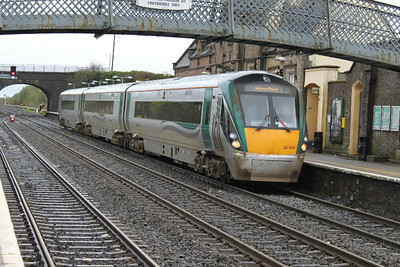 22203 at Bagnalstown on 04.04.09 on 07.30 Dublin - Waterford service. 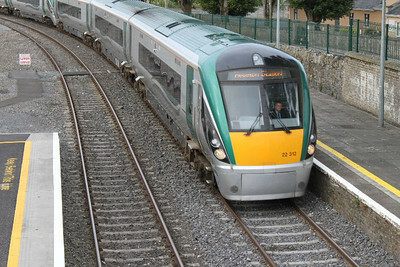 22218 - at Heuston on 25.06.11 out of service. 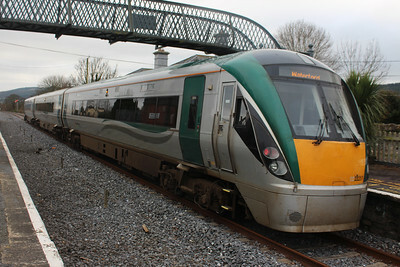 22222 (+ set 12) on 03.03.12 at Carlow on 15.10 Dublin - Waterford service. 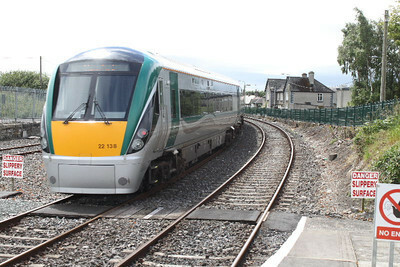 22228 at Kildare on 10.09.11 awaiting the 10.55 Kildare - Heuston service. 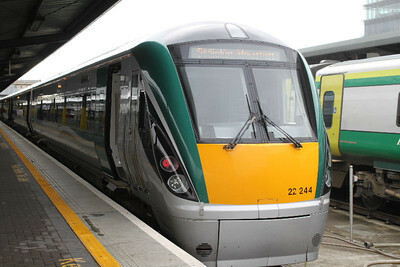 22244 - at Heuston on 25.06.11 after Waterford - Dublin service. 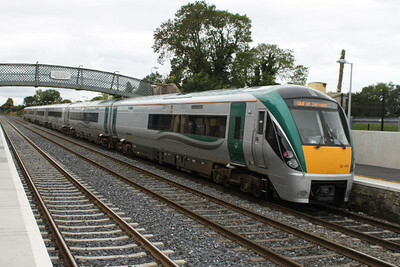 22247 at Kildare on 12.05.12 awaiting the 10.55 Kildare - Dublin service. 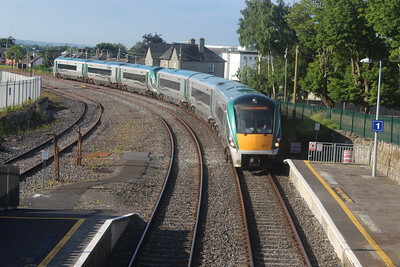 22249 on 23.06.14 at Carrick-on-Suir on Limerick Junction - Waterford service. 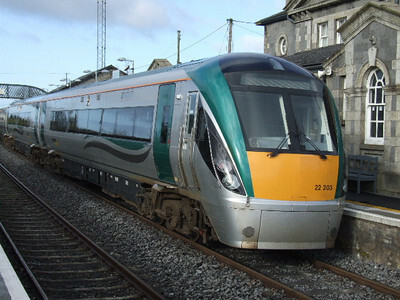 22250 at Carlow on 23.03.13 on Waterford - Dublin service. 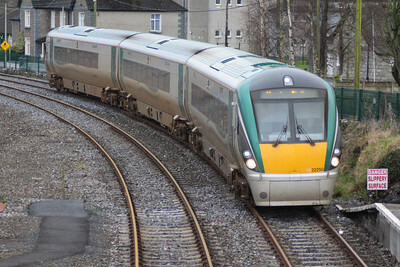 22251 on 07.02.15 at Carrick-on-Suir on Limerick Junction - Waterford service. 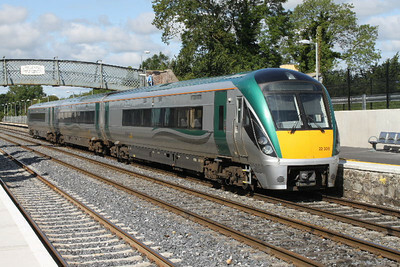 22262 at KIldare on 23.07.15 on service to Dublin. 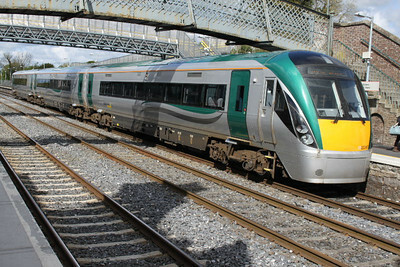 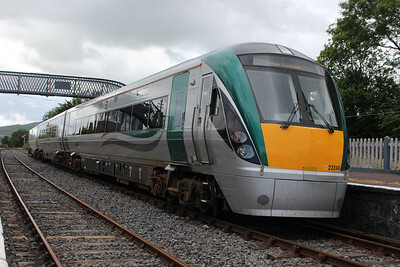 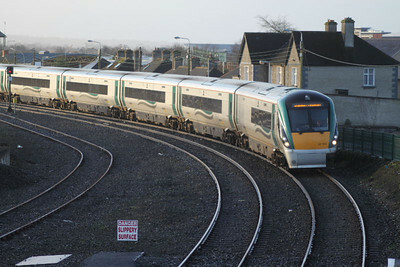 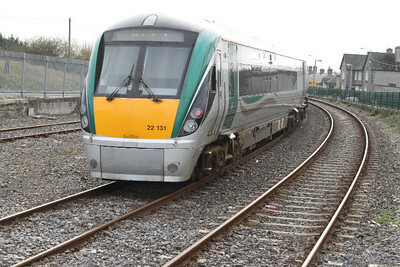 22301 (+ 22347) at Carlow on Waterford - Dublin service. 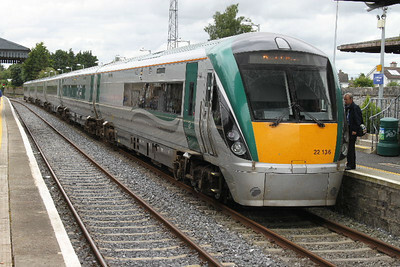 22305 - at Kildare on 23.07.11 on 10.50 Kildare - Dublin service. 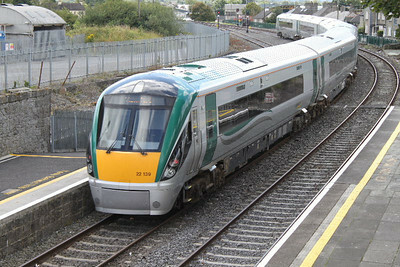 22312 (+ set 16) at Carlow on 06.08.11 on 07.10 Waterford - dublin service.